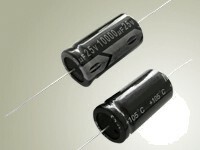 WIMA film capacitors are available with capacitances from 27 pF to 4500 µF and voltage ranges from 50 VDC to 6000 VDC. SMD versions as well as thru-hole components from WIMA are manufactured in proven box technology and cover a wide field of applications. 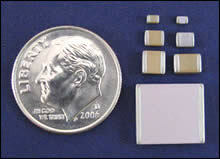 Ceramic capacitors are available in a variety of physical sizes and shapes lending themselves to a wide variety of specialized applications. 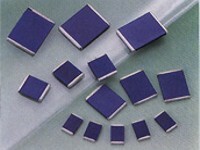 They are extremely space efficient and well suited to hybrid circuit use in decoupling, bypassing, timing, tuning, etc. Electrolytic capacitors typically have a larger capacitance per unit volume than other types, making them valuable in relatively high-current and low-frequency electrical circuits. They are mainly used in power-supply filters, in rectifier output but also as coupling capacitors in circuits where AC should be conducted but DC should not. 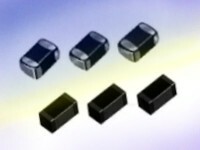 Tantalum capacitors are characterized by a very high volumetric efficiency of capacitance and reliability under extreme conditions. Compared with aluminum or ceramic capacitors, tantalum capacitors show a distinctly lower temperature and frequency dependence of their electrical properties. 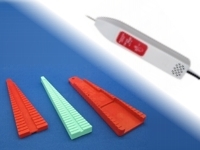 Lead Forming Tools bends 1/8 Watt resistors to 2 Watt resistors and diodes. They are made of high impact ABS plastic with radiuses edges. The Circuit Probe produces a tone that varies with resistance, capitance, or voltage. May be used to check, continuity, compare circuit resistances, check capacitors, diodes or LED's and trace audio signals. High performance push-pull circular connectors, coax or triax, with metal or plastic shell which meets international requirements for broadcast and studio applications. The most common function of a diode is to allow an electric current to pass in one direction while blocking current in the opposite direction. This unidirectional behavior is used to convert alternating current to direct current. A rectifier also converts alternating current (AC) to direct current (DC). 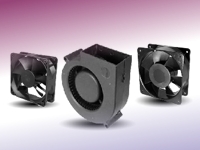 Fans are used in a wide range of industries. Some popular ones are: Computer, Power supply, Telecom, Office equipment, Industrial control, Entertainment equipment, Instrumentation, Automotive, Household appliance, Medical equipment. 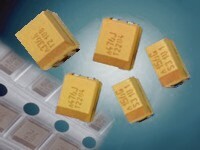 Fuses are a type of low resistance resistor that acts as a sacrificial device to provide overcurrent protection, of either the load or source circuit. A fuse interrupts excessive current so that further damage by overheating or fire is prevented. Overcurrent protection devices are essential in electrical systems to limit threats to human life and property damage. 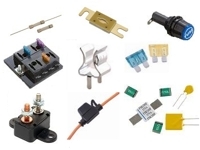 TAW is offering a wide range of fuses, fuseholders, fuseclips, fuse blocks, circuit breakers, resettable fuses and accessories. Inductors are used extensively in analog circuits and signal processing. Inductors in conjunction with capacitors and other components form tuned circuits which can emphasize or filter out specific signal frequencies. Light Emitting Diodes, or LEDs, are high efficiency sources of electro-magnetic energy with a wide range of available wavelengths and very high brightness. 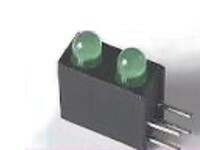 LEDs and other LED-related products can be supplied in various configurations as surface mount or thru-hole devices. 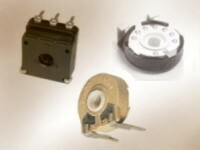 Potentiometer and sensors are used in various applications especially in the automotive sector. 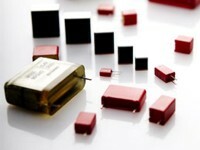 TAW offer a wide selection of Carbon or Cermet potentiometer and sensors according to ISO 9001, ISO 14001 and ISO TS 16949 quality standards. A resistor is a device connected into an electrical circuit to introduce a specified resistance. In electronic circuits the main application for resistors is in bias or stepping down a voltage. 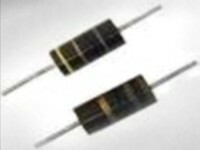 TAW offers a wide range of resistors that include metal film resistors, carbon film resistors, standard film resistors and wire-wound resistors. Transformers can be thought of as electro-magnetic passive electrical devices that works on the principle of Faraday’s law of induction by converting electrical energy from one value to another. The transformer does this by linking together two or more electrical circuits using a common oscillating magnetic circuit which is produced by the transformer itself. 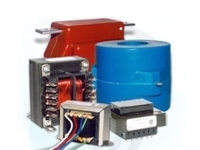 TAW is offering both standard and custom made transformers. Varistors and TVS reliably protect the electronics systems from overvoltages by limiting surge voltages and by absorbing energy. They are used to safeguard the components, to ensure electromagnetic compatibility and suppress the transients caused by electrostatic discharge.